"Gift that keeps on giving"
Hi there, I had my first SCP idea recently and am unsure whether it is worth investing more time into it or not. I looked for excessively similar ones on the wiki but couldn't find any yet, so if there are any I would be glad to be informed about them. Any criticism is greatly appreciated, even if the idea is not gonna make it from the get-go. a) It cannot be harmed by conventional means in any way. It is, however, highly susceptible to certain other SCPs, most notably SCP 524. If damaged in any way, the entire box and all of it's content disappear into the void. 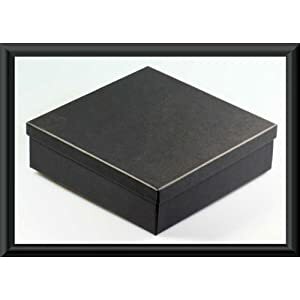 b) The box has different inner and outer dimensions, with the exterior size being fixed and the interior size depending on the objects contained. c) Once the box has been opened, it will always contain exactly 2 items. One is the box itself again, the other one is a random thing. I plan on including several examples, such as an Apple, a book[possibly with unknown letters/symbols], a gem, a cup of water, a sock, a boat, a industrial-type chimney and during Incident-####-alpha it contained a snake-like reptile reminiscent of asian dragon depictions[the reptile suffocated after having killed several people, incident-report and conclusive discussion between Dr. … and an 05 would be included later on]. e) Should the box be damaged, any and all objects that have been inside it and not reappeared yet will be lost forever, together with whatever the box contained. f) I am not yet quite sure how the recovery of objects inside the box should work. You can either grab anything and pull it outside of the box, no matter what the physical limitations might suggest, or you need to use conventional methods while making sure that the objects used to retrieve things do not disappear according to d). The first one would, taking the chimney as example, mean that even though the interior is roughly 5m x 5m x 50m and the interior box is standing on the ground, you could still pull it out just by reaching into the box. You could also take the chimney out, even though it appears to be far too wide. Alternatives could be that objects get transported/teleported/slowly pushed outside of the box if sufficient space is available, that they get shrunken down and expand to normal size upon exiting the box completely. Am open to further suggestions. I am not yet all too sure about how the Foundation was alerted to the box's existence. An idea I had was that an Austrian librarian was killed by a black mamba, which was suspicious enough to alert the Foundation, who investigated and found 2 boxes in the library. An archaeologist and his workplace would be possible aswell. So far I had planned to have Euclid as object class. Containment procedures would be 2 different ones, the first one cancelled like this after the Incident, the second one being that all but one copy of the object are to be destroyed using SCP-524. During the transport/destruction utmost care is to be taken to ensure that the boxes do not get opened. The one box that is kept is to be sealed inside of a container that has exactly the same height as the box, although slightly more wide and long, with slight pressure being applied from both the top and the bottom constantly. The discussion between the Dr. in charge of the boxes and an 05, in which the doctor requests termination of all testing, following the incident, would roughly be "what happened" plus answer, "what potential use does the object have" plus answer(scp-500), "what dangers does the object present" and then mentioning of 682, 017 and similarly dangerous objects. The request would then be granted. And that would be my idea so far. All criticism is very much welcome. If this has been done before, please let me know aswell. The way you've conceived it, your idea depends way too much on other SCPs. It's a box that not only produces infinite objects without any reason, but also cross-links to a bunch of other SCPs and is vaguely dangerous. I think there are better variants of "infinite box" or "dangerous box" around already. Indeed. Cross-testing in general tends to be frowned upon, so you should probably remove that from this (if you choose to continue with it) and any further attempts, at least until you get a good feel for what is and is not acceptable.